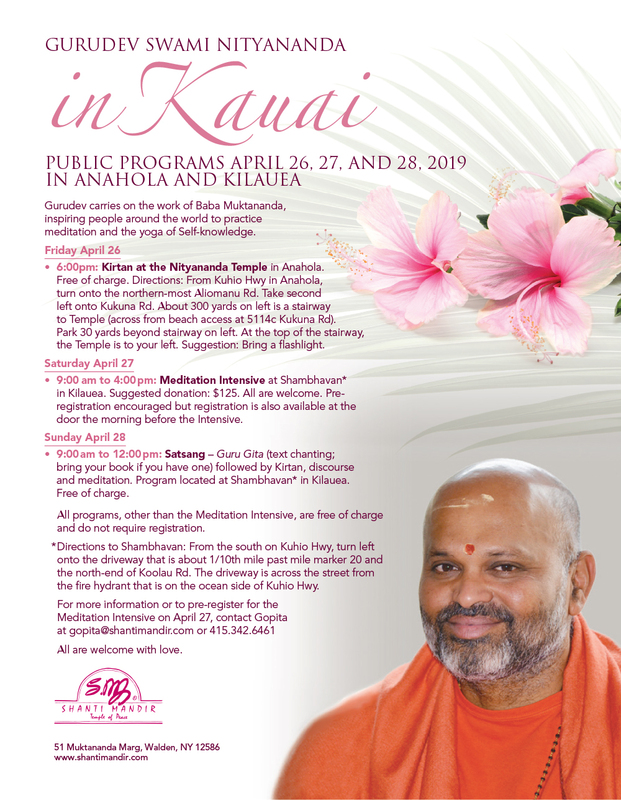 Besides the retreat in Kauai, Gurudev Nityananda will also conduct three public programs in Anahola and Kilauea. The details are on the above flyer. To view or download the flyer in pdf format, click here.